Roady - Glad you came out for an on site visit! We don't roll with the cheap stuff, so if anyone wants it done right the first time, we're your one stop shop. Next time I'll let you drive my PERSONAL V-Twin monster! 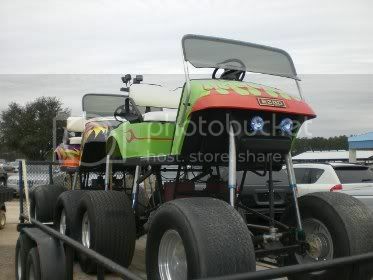 Oh yea - Roady's on his way in building a gasser (welcome to the fume club) - Lets start a thread from the beginning! Mike, i'm glad your getting Roady straighten out, he's a good kid and means well, he just got caught up in the wrong crowd. And he didn't know it was that obvious! What motor? Big Block Talk!